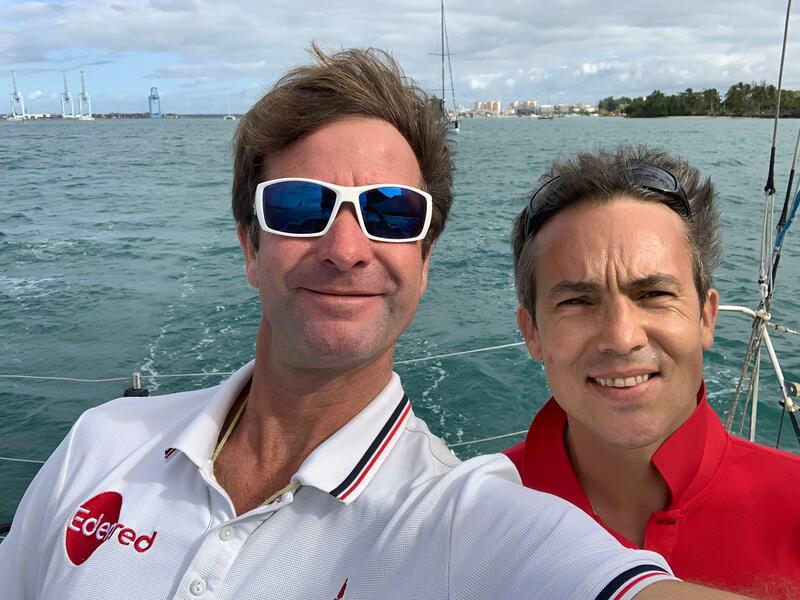 Edenred has renewed its commitment to Class40 yachtsman Emmanuel Le Roch, for a second season of adventures under Edenred colors. In the sights next fall, the participation in the Transat Jacques Vabre, a double-handed race between Le Havre, France and Salvador da Bahia in Brazil. Hello everybody! We have arrived in la Rochelle Sunday afternoon! A small feedback on the crossing: a good harmony with Basile, he is a very nice lad, very professional ! He is tough and willing, steers pretty well and has a very positive mindset. 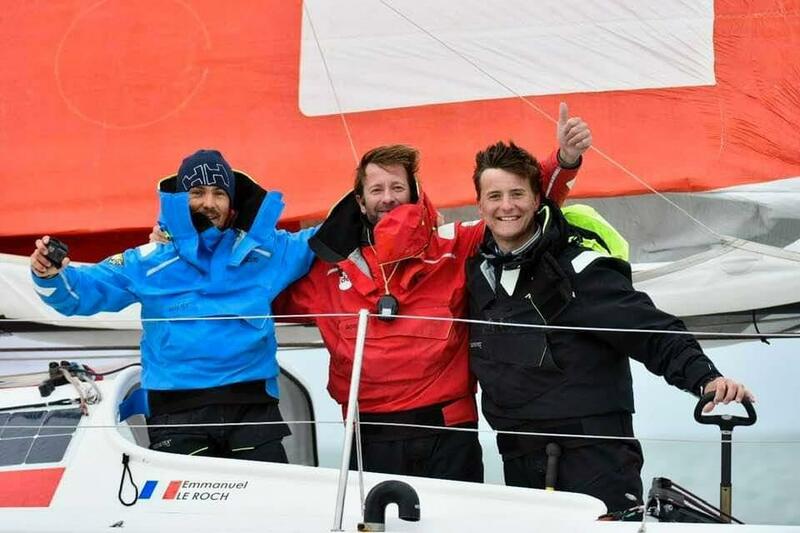 We are getting along fine despite the lack of sleep... During the last 48 hours, we barely slept to stay in the race, and in spite of this the atmosphere onboard is still excellent; upon arrival, we were really exhausted, but we held on tight! The 7th boat arrived 20 minutes before us et and the 9th one 15 minutes after... Proof that after 6 days of race, it was better not to fall asleep. The level was very homogeneous and the whole fleet arrived within less than 10 hours, this is almost nothing after 1.300 miles. Now it's time to take some rest before sailing back to La Trinité tomorrow. See you soon! "A wonderful day with excellent times : more than 350 miles in 24 hours! It is beautiful to see Edenred launched at more than 20 knots hurtling down the waves. In response we have to wear dry suits because of the waves rolling on the deck with the strenght of a water hose! The atmosphere onboard is excellent, fun facts: Cyril dropped his phone in the water while he was filming, Basile put his hood... while it was filles with water! As for me hard waking up, my mates had to shake me, I though it was the boat pitching hard... The tactics to gain some minutes of sleep did not last very long!" 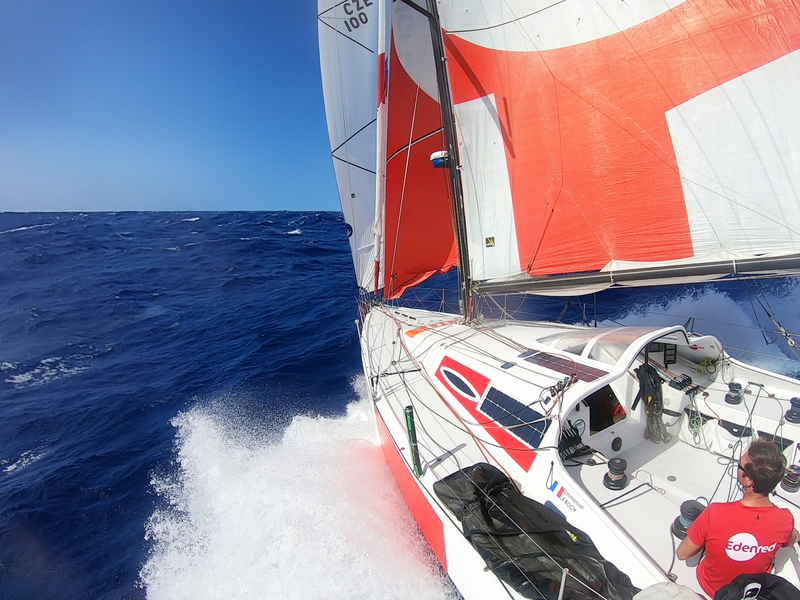 "Sailing towards the second stage of the Défi Atlantique (Atlantic Race)! 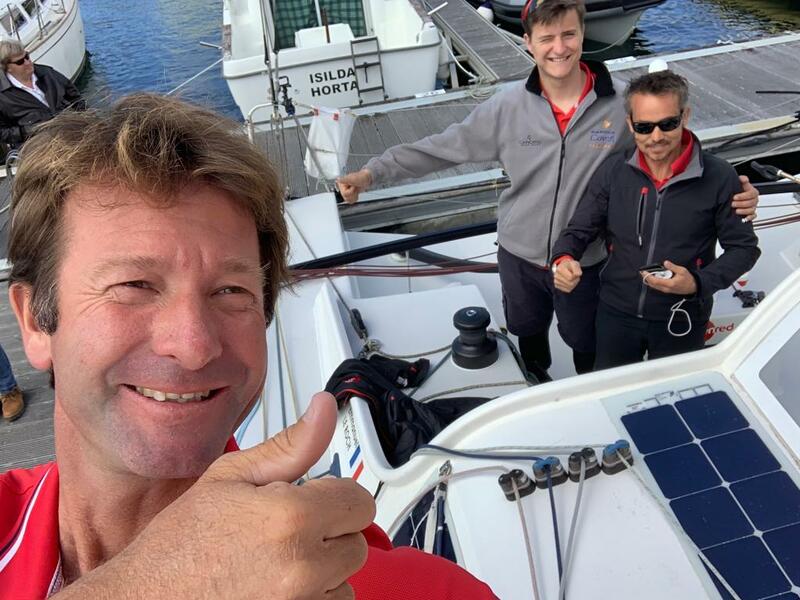 After our stopover in the Azores and a few refurbishments on the boat, here we go again: we are heading to la Rochelle, with a great addition to the crew: Basile Bourgnon. After the nice experience during the first stage, we are really motivated to resume the race with our friends! The weather forecast is nice and the morale is optimal. See you soon!" "After a last agitated night we finally arrived in Horta! By the end of the day (Thursday) we reached the coast of the Azores archipelago. We look forward to sleeping in a real bed, having a meal on a table and taking a proper shower! A first pre-assessment: we are arriving in quite a good shape, between 4 and 6 hours of sleep every 24 hours. 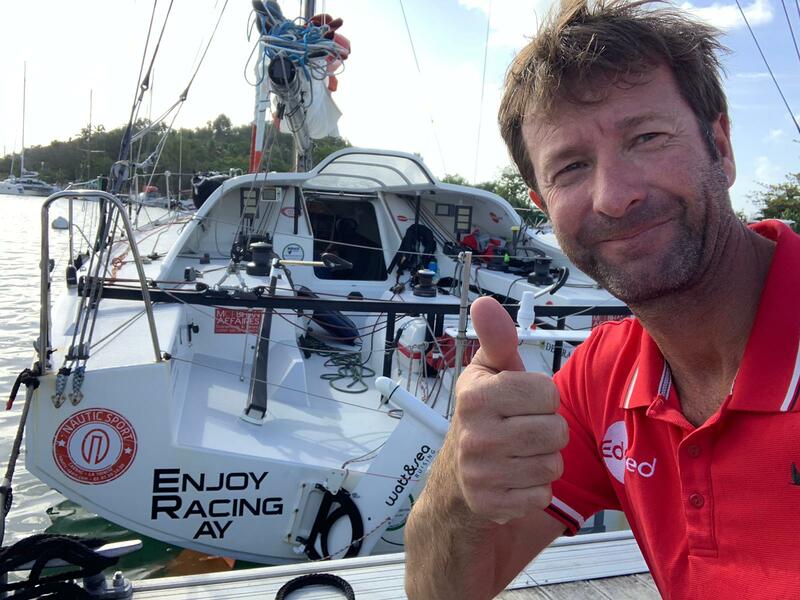 The idea of the Défi Atlantique (Atlantic Race) is to get ready for the Jacques Vabre race in November, sailing in pairs for this first leg of the transatlantic. Regarding the events of this stage, a few technical issues especially on the tiller, but everything has been fixed despite several hours lost." "Last night, we attended an amazing show! A couple of dolphins escorted us for a long while, very playful, they were illuminated by the plankton, quite a magical moment… We realize how lucky we are to be here! Regarding the wind, let’s say the magic (an our luck) are a little less obvious. 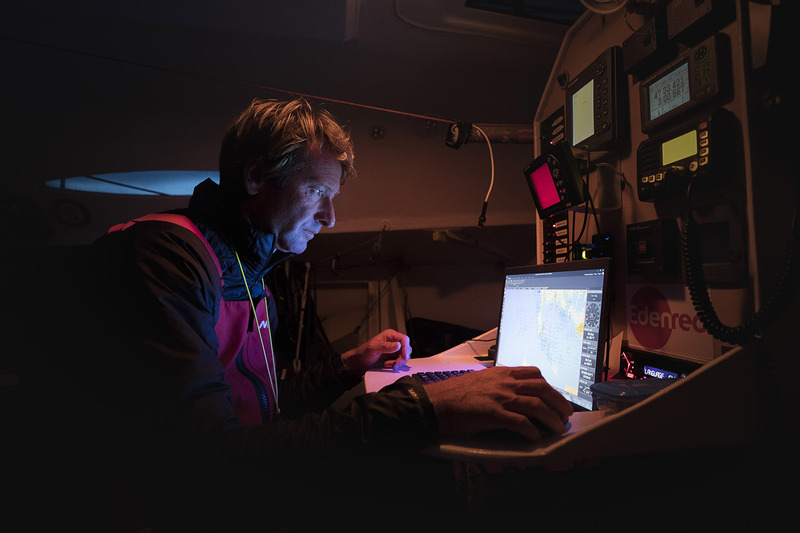 The morale of the crew is still very high, we stay focused on our duel with Last Boys (XL Colombre) and we are getting ready for our last full night aboard Edenred before reaching the Azores." "Last Sunday was a day off for the wind! We hunted every small breeze to get out of this dead-calm area as soon as possible, but there is no rule to know the direction and intensity of the wind blast... Regarding the race, we are neck and neck with Lost Boys (Colombre XL), I think that the duel will last until the very end! 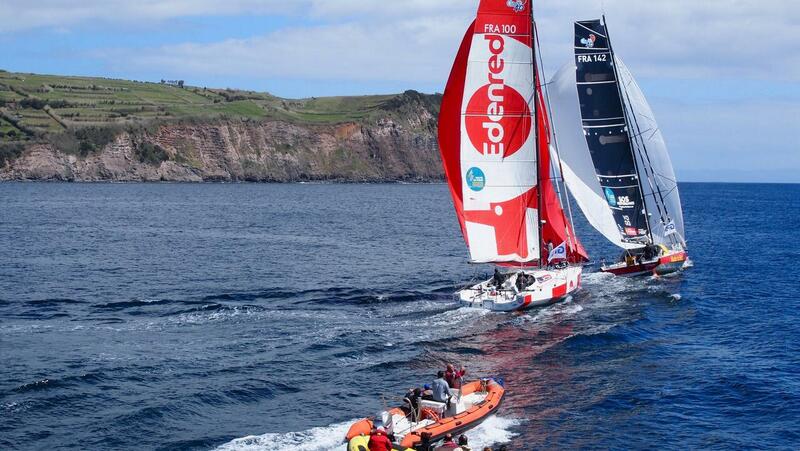 Everything is going well onboard Edenred, we are in a great shape for the last round until the Azores!" "Each day is different: until today, nights were clear and starry, but this night was the complete opposite: pitch-black and we have lost at least 5 degrees on the centigrad scale! Oh, I forgot... we are heading North! Regarding the race, everything is going well, motivation remains intact and morale is still high!" "Today, Edenred is sailing at high speed on the ocean, the wind force and angle are favorable and allow us to slide on the waves. A few technical issues made us lose some of our speed yesterday but we managed to successfully fix everything early last night. Edenred is now 100% operational, morale is high and we’re holding on tight: the race is not over and we are now ranked at 7th position!" 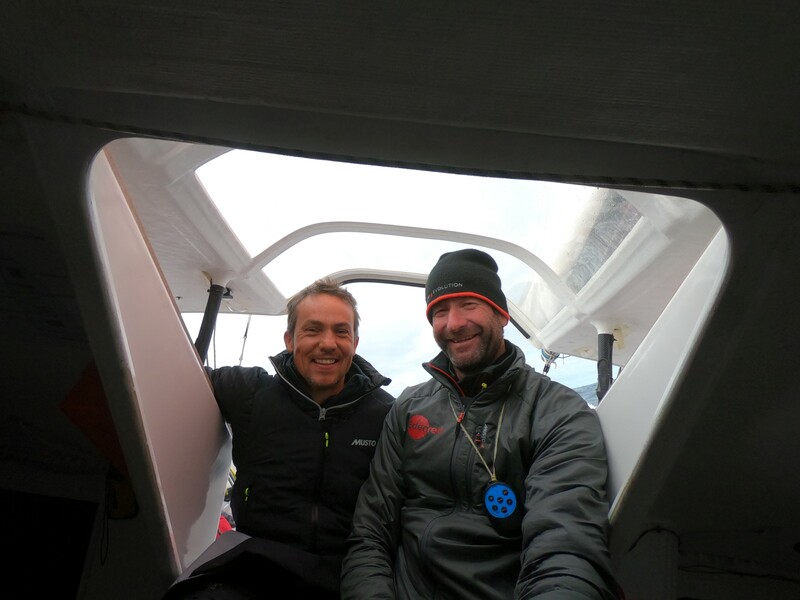 "Time has come to start the Défi Atlantique [Atlantic Challenge] race: Cyril and I left at last after several days of intense preparation. 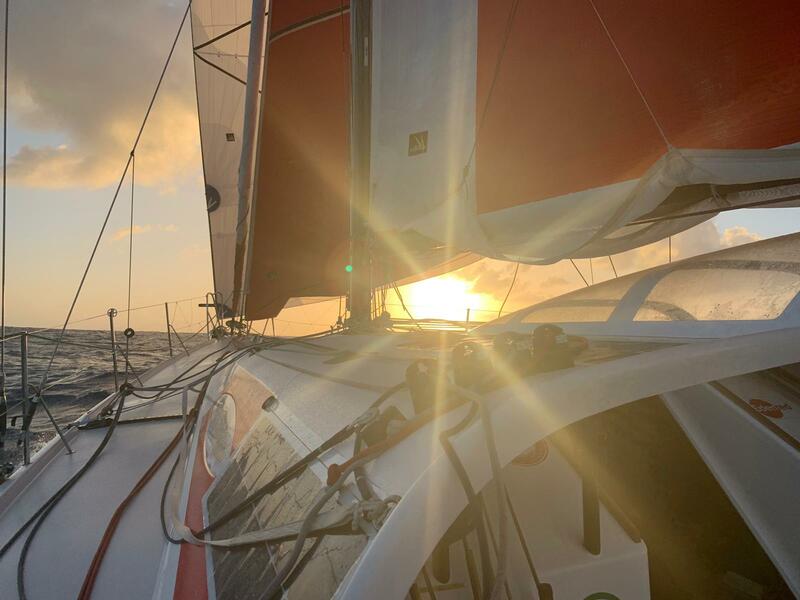 Everything went fine under the Antilles sun, we rapidly reached a good sailing speed after we raised anchor. While we were sailing along the coast side, we encountered two minor issues that we solved quickly but we lost our lead on the race. Now it's time to set the course for the Azores Islands and to win back the advantage on our friends who are now a few nautical miles ahead of us. Have a nice day everyone! PS: you can track our race here"
"True Dream is officially back again. A quick message for all those who have supported me, and who, I hope, will continue to support me in the coming months, too. The dream is not over!" "3 days left. This Saturday, March 23, my team mate and I will set sail for the first stage of the Défi Atlantique [Atlantic Challenge]: from Pointe-à-Pitre, we will set the course to Horta, in the Azores archipelago. Excitement is rising and we can't wait to get back in the race – after enjoying the Guadeloupe palm trees a little longer." "Here at last! I can't tell you how pleased I am to cast anchor in Guadeloupe, at the helm of the Edenred boat (which has been fully repaired in Madeira), and more than prepared to tackle the Défi Atlantique [Atlantic Challenge]. This transatlantic race, less known from the general public than the Route du Rhum, is reserved for sailboats of the Class40 category: it's designed as a "return" crossing between Pointe-à-Pitre and La Rochelle. Another major difference with the Route du Rhum: it's not single-handed. I will therefore participate with my team mate and friend Cyril." Send your support to Emmanuel! Emmanuel Le Roch grew up in Lorient, in the French department of Morbihan. Since childhood, his dreams have been dominated by the sea, adventure and the open water. His encounter with Edenred has now made these dreams a reality. 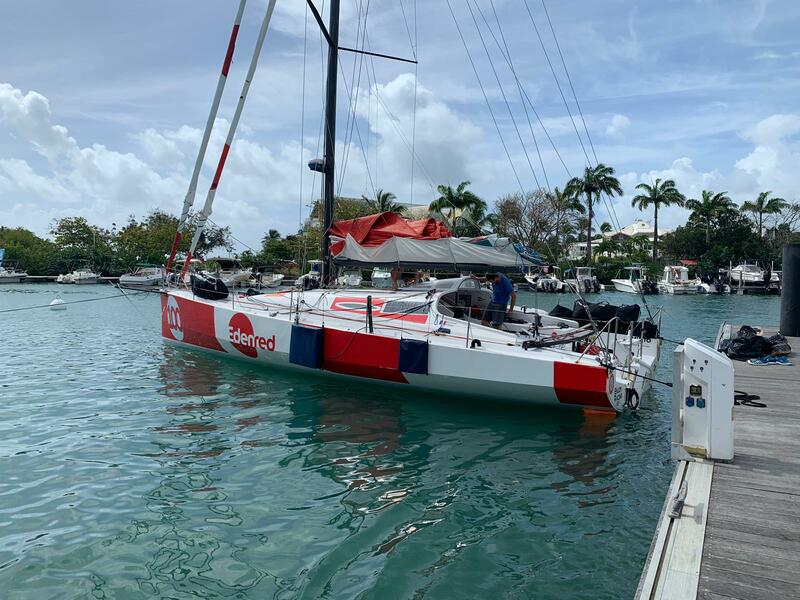 The Class40 monohull category, which dates back to 2005, has successfully risen to the challenge of offering a high-performance, robust and accessible boat that allows professional sailors and experienced amateurs alike to fulfill their dream of sailing on the open water. Today, there are 155 boats in the class, including the Edenred, number 100.